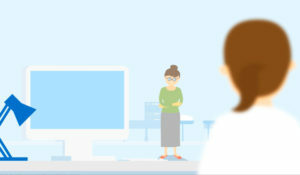 The health information exchange (HIE) is a secure, standardized electronic system where health care providers can share important patient information, giving them the tools they need to make more informed treatment decisions, especially in an emergency. Learn more. Our reporting and analytics service uses real-time clinical data from across the care continuum to help providers drive quality and cost improvements, manage risk and population health, and inform operational decision making. Learn More. We help Eligible Hospitals (EH) and Critical Access Hospitals (CAH) meet Stage 2 Meaningful Use Core Measure 14, Electronic Reportable Laboratory Results. Our implementation team has developed a proven process and works in close conjunction with MECDC to establish and maintain real-time HL7 interfaces to deliver notifiable laboratory conditions using the CDC prescribed PHIN Messaging System. HealthInfoNet does not charge a separate fee for this service for current HIE participants. For more information contact us at CustomerCare@hinfonet.org.